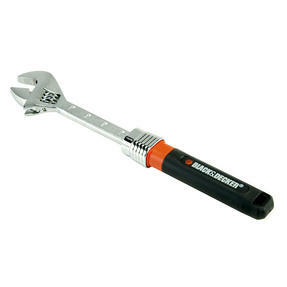 Black + Decker BDHT071629 Extendable Adjustable Wrench, 250 mm, 10? Combining simple functionality with exceptional build quality, this adjustable Black + Decker wrench is suitable for a wide variety of everyday tasks. The versatile extending unit features an easy-grip ergonomic handle and can be set at lengths of 250 mm, 275 mm, 300 mm, 325 mm and 350 mm depending on the intended application. 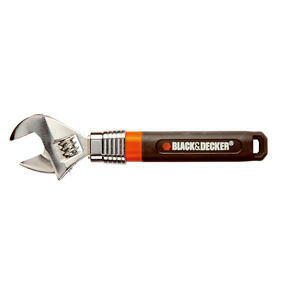 Coated with a corrosion-proof lacquer for extended service life, this forged chrome steel implement is built to last and is sure to make all your DIY projects a breeze. 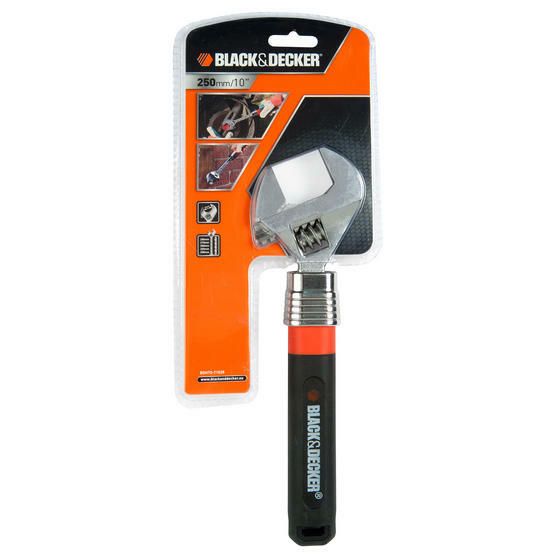 This versatile Black + Decker wrench features five length settings from 250 mm to 350 mm to suit a wide range of operational needs. 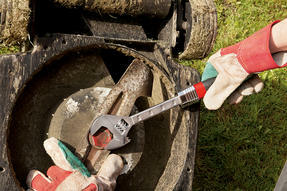 Its ergonomic bi-material handle is designed to provide users with increased comfort and superior grip during intensive tasks. 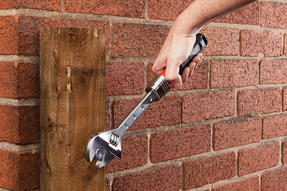 This handy spanner has been expertly fabricated from fully forged chrome vanadium steel for unrivalled resilience and functionality. Compact and adjustable, the wrench features an innovative corrosion-resistant finish, making it perfect for harsh work environments. 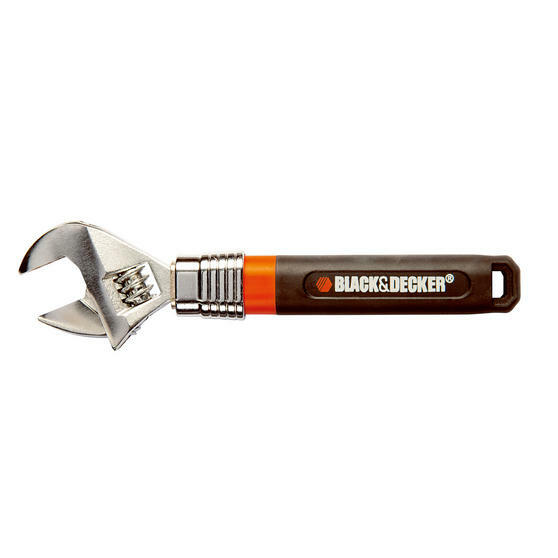 Developed using tested Black + Decker engineering, this handy wrench would make an ideal addition to any professional or DIY toolkit.